New for 2019, the Solid Flame Maple Series comes in concert and tenor models. Maple offers a clear, transparent tone, and ample projection with great note separation. 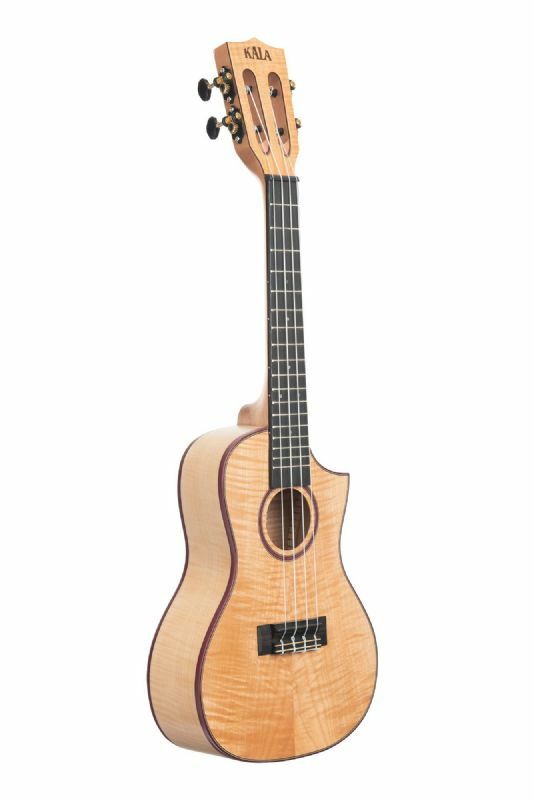 The figuring of the Maple along with a slotted headstock, florentine cutaway, and purpleheart binding make this ukulele stand out. The Solid Flame Maple series is an all Maple build including the neck. Available in concert and tenor models, both with a cutaway.